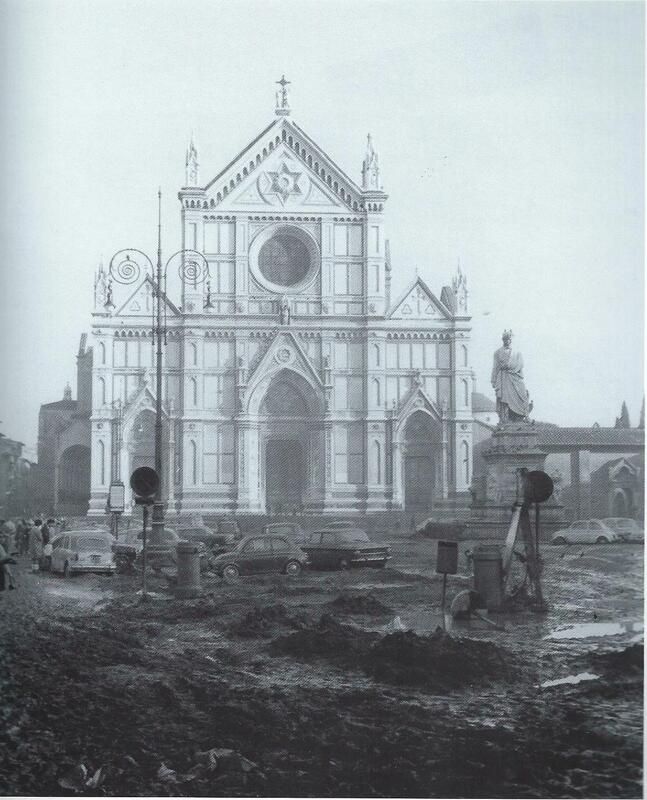 14,000 masterpieces were lost in Florence’s devastating 1966 Flood. 40 women artists, known as the “Flood Ladies”, answered the city’s call for new art. This did not happen. Florence still lives in the past and the artworks displayed in the city is 99% created by men. 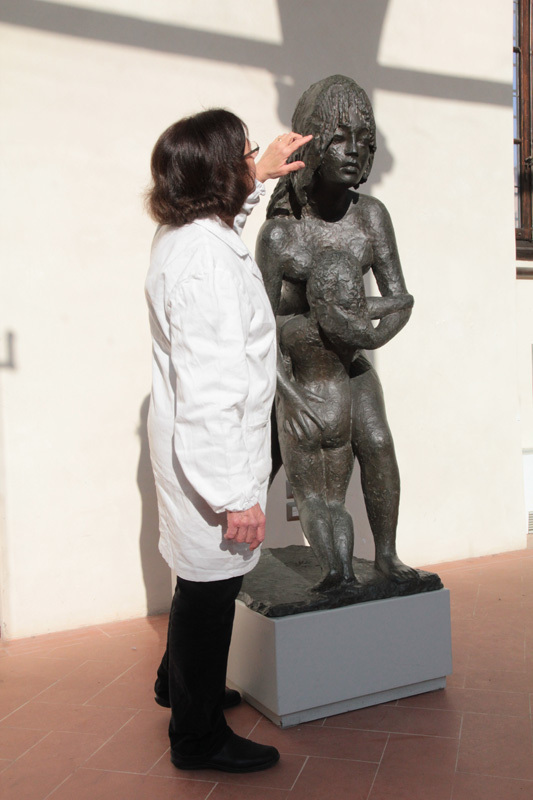 But the paintings and sculptures of these generous modern-day artists is still in Florence … in storage … now, after 40 years, in need of restoration. These little-known art treasures by women artists, housed in the archival rooms at the Museo Novecento, are at the center of a new documentary created for American Public Television (PBS), premiering at the Odeon Cinema Hall in Piazza Strozzi at 6.30 on Tuesday, October 20. 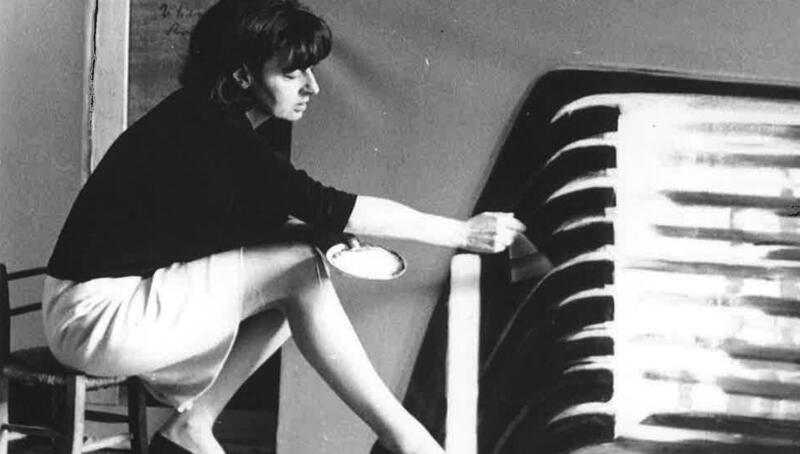 From the makers of the Emmy-winning documentary Invisible Women comes the story of Florence’s 1966 flood and twentieth-century women artists, who—like Carla Accardi, Edita Broglio, Titina Maselli, Paquarosa Bertoletti, Stefania Guidi and Antonietta Raphael Mafai—answered the City’s plea for new works to “substitute” those lost in the deluge. 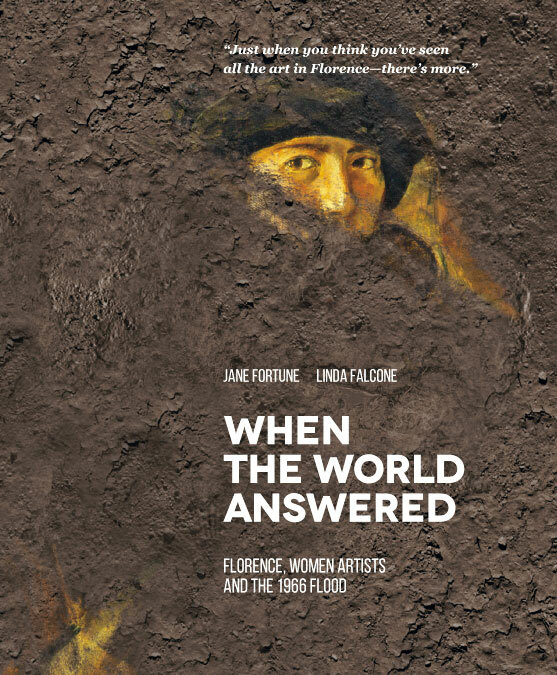 The documentary, entitled When the World Answered: Florence, Women Artists and the 1966 Flood, is based on a book published by the Florentine publishing house The Florentine Press in 2014. Its authors, Jane Fortune, Founder and Chairman of the Advancing Women Artists Foundation (AWA) and Linda Falcone—AWA’s Director, Italy—are on a televised quest to uncover the dozens of paintings and sculptures by women languishing in storage at Florence’s Civic Museums, to raise funds to have those masterworks restored, and to provide a venue for them to be viewed for the first time after almost forty years. 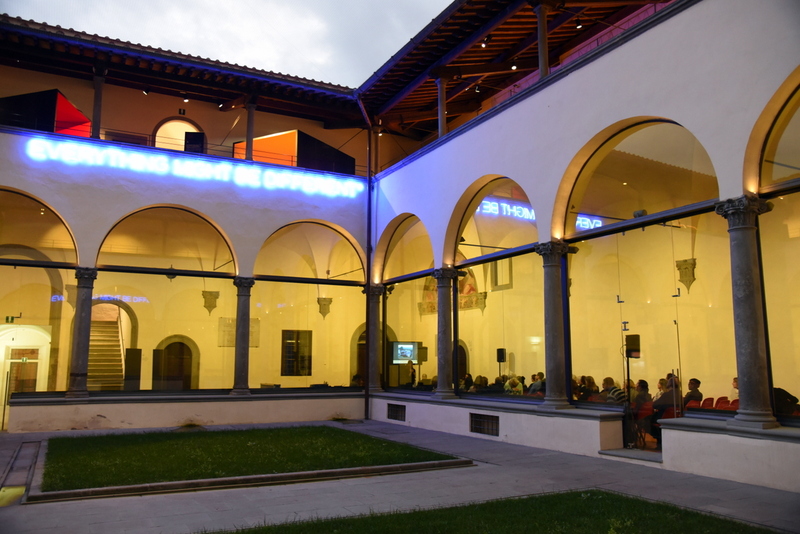 It’s a varied journey that takes viewers from the Restoration Laboratory of the Biblioteca Nazionale to the rooftops of the once-devastated Santa Croce neighborhood. 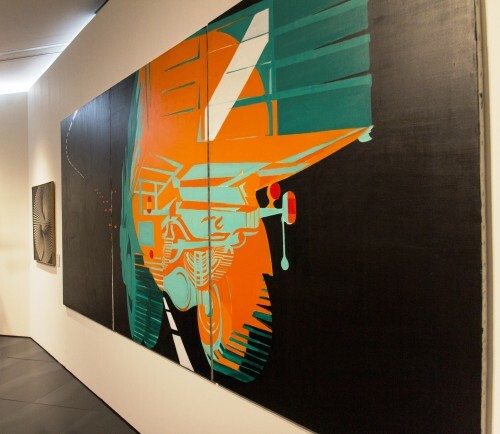 It scopes the halls Florence’s new Twentieth-century Museum (Museo Novecento), where several of these forgotten works, recently restored by AWA in collaboration with the Municipality of Florence, are now on show. 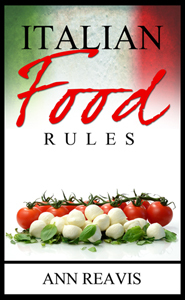 After its red-carpet welcome in Florence, this Florentine story is scheduled for broadcast on over 180 Public Television Stations across the United States, beginning November 12, 2015. The program shares interviews with living “Flood Ladies” as well as spotlighting many of the flood’s pivotal players, including director Franco Zeffirelli, whose documentary Per Firenze (1966) was fundamental to garnering international support, and Nicholas Sweitlan Kraczyna, whose prize-winning flood photos inspired the world to respond to Florence’s plight. The World Premiere, organized by the Advancing Women Artists Foundation, The Florentine and the Odeon Cinema Hall, with the patronage of the U.S. Consulate in Florence, is a benefit event that is open to the public. 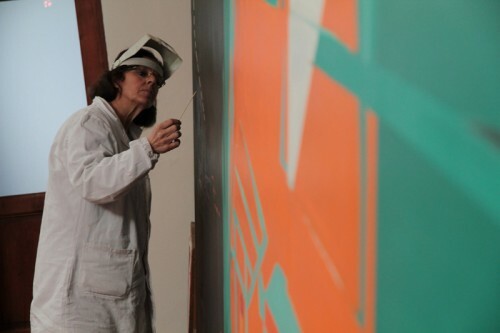 Proceeds support the restoration of art by women in Florence.